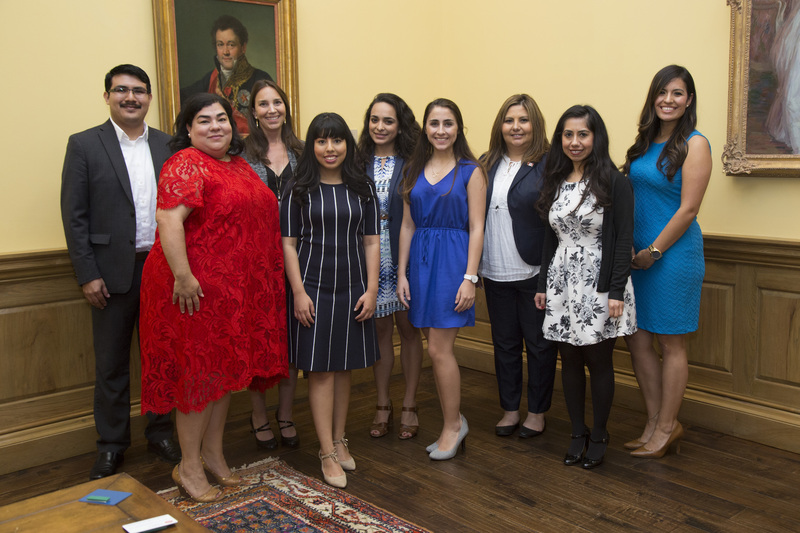 Hispanic Alumni of SMU was established in 1997 as an affinity group that supplements the activities of the Office of Alumni Giving and Relations. The mission is to serve as the link between SMU Hispanic alumni and the SMU community, while promoting the Hispanic Alumni Scholarship. Make a gift to the Hispanic Alumni Scholarship Fund: As proponents of the Hispanic Alumni Scholarship, members of the Hispanic Alumni Board are expected to make a gift of any amount to the Scholarship each fiscal year. It’s not what you give, but that you give that matters most! Meetings are held the third Tuesday of every month at 6:30 p.m. Depending on the group’s upcoming event schedule, meetings are held either in person on SMU’s East Campus or by conference call. Apply here for Board membership. Board members are chosen annually in May. Email us at ha@alumni.smu.edu should you have additional questions about Board expectations or the nomination process. Learn more about the Board's signature events and other volunteer opportunities for Hispanic Alumni in Dallas-Fort Worth.